Hanna Bennett bringing up a webmaster's mistake? The recently added postcard of the McClung Hospital said Oakford Avenue. 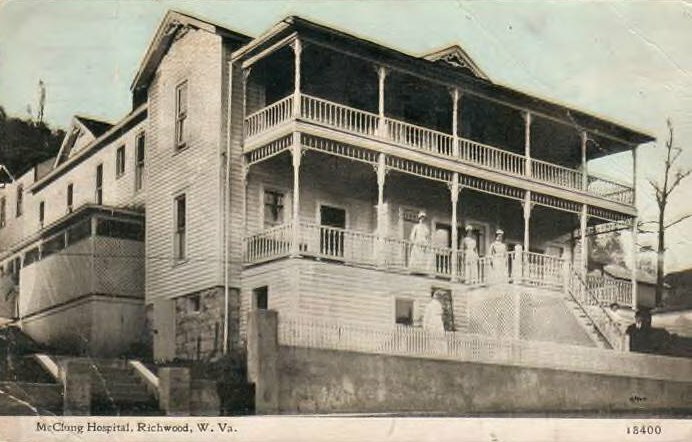 This is the original hospital located on Main Street, not the one on Oakford Avenue. It was later the Virginia Hotel. Thank you for taking a few minutes to inform us of the mistake.